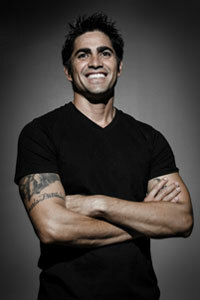 Born and raised on Kaua’i and the North Shore of O‘ahu, Rico Jimenez grew up playing soccer, surfing, and fishing. He earned a purple belt in Gracie Jiu-Jitsu, training at the the world-renowned Boar’s Nest. At the age of 23, he became a professional surfer, eventually earning the role of Oakley Hawai’i Surf Team Coach/Manager. Rico is currently RVCA Hawai’i’s Team Manager. In 2013, he added CrossFit training to his professional training, discovering his true physical and mental potentials as an athlete. Rico’s passion is to help others reach their highest potential by achieving their goals. His measurement of success in life lies within Rico’s ability to serve and help others which he finds more gratifying and joyful than any other personal achievement. He holds certifications with International Sports Science Association in Strength and Conditioning, Personal Training, and CrossFit Training Level 1. Our Kahala Team, we have over 30+ years of coaching experience with amazing stories on why they train. Coach DMack , Coach Bomber, Coach Hashi, Coach Sage, Coach Rick & Coach Bronson have 1 thing in common, their love to help people.